The Colombo Plan Staff College for Technician Education (CPSC) takes pride in launching its first ever Journal on TVET titled STEPS (Scholarly Technical Education Publication Series), which is a compendium of professionally written articles by TVET experts and research enthusiasts on key issues and developments pertinent to technical education in the Asia Pacific region and the world. 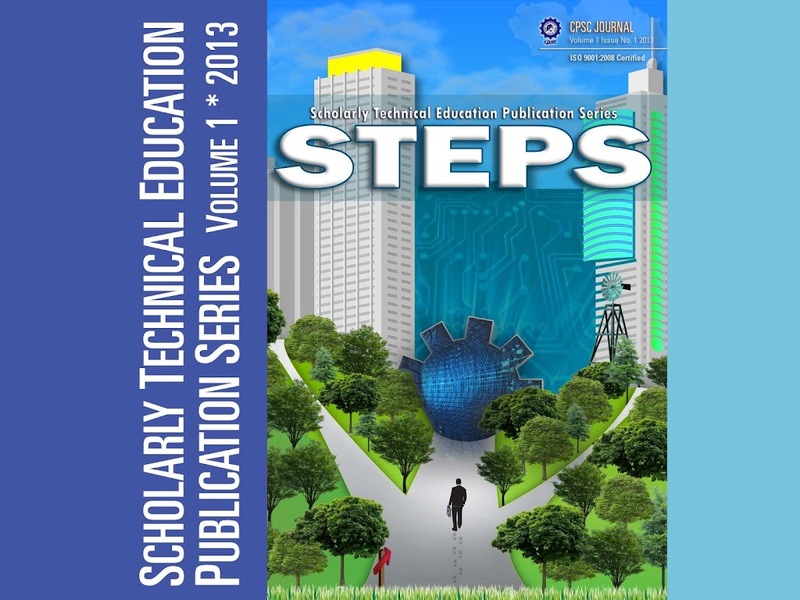 CPSC releases the maiden issue of the STEPS on June 27, 2013. The maiden issue of the Journal features the pioneer batch of articles which include ten papers by authors from countries such as India, Indonesia, Malaysia, Myanmar, Nepal, Papua New Guinea and Singapore, along with CPSC papers. The articles discussed key issues pertinent to TVET like sustainable development, initiatives towards green economy, TVET financing, entrepreneurship, skills training, innovative learning practices and country TVET perspectives.